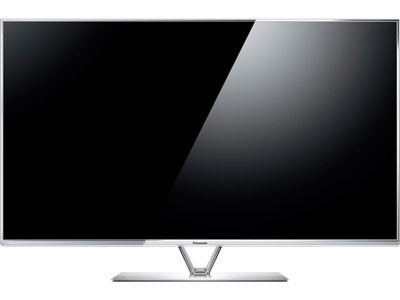 The 55 inch class LED/LCD TV is a very competitive one. The TC-L55DT60 brings a lot to the table, but the WT60 above it really takes the cake. This set loses picture quality features like the clear pro panel and local dimming. It also tones down the 4200 back light scanning with the 1920 back light scanning from last year's WT50. The DT60 is the way to go if online connectivity is higher on the priority list than picture quality features. The TCL55DT60 has Panasonic's IPS LED panel that provides fantastic side viewing angles. Especially when compared against other LED and LCD sets. It really does away with the problem of color and contrast degradation as you enter the side viewing angles that are typically unavailable. Panasonic gives it a 178 degree rating. That covers just about any viewing angle you can come up with. 1920 back light scanning is a feature on the TC-L55DT60 that pushes the native refresh rate of the panel to much higher levels. This feature provides extra smoothing in fast motion and side to side panning. Image edges also get some smoothing so you get the sharpest image possible. It works well and can be switched off if any negative side effects appear for content that may not need it. This is a new personalization function that allows users to create their own personal home screen giving them quick access to their favorite content. It must be a response to different family members having different ideas of what is important in the Viera Connect suite. Is an improved way of connection between the TV and Android or iOS devices. All it takes is the swipe of a finger on the smartphone or tablet and the content is displayed on the big screen. The built-in camera from the WT60 is done away with but the included Touch Pad Controller remains on the 55DT60. Losing the camera functionality is not necessarily a bad thing. The implementation of a device like this has not really been perfected to the point of needing them on the TV. A camera is nice for Skype calling and things like that. The Touch Pad Controller is included with the TCL55DT60. It is supposed to speed up web browsing and navigating through the smart TV platform. We tried it last year and didn't think it brought much to the table. LG's Magic Remote really hit the sweet spot in that arena. The Touch Pad does allow for the new voice interaction features to help with search and reading on screen text. The TC-L55DT60 comes with three HDMI ports and three USB ports. That should provide plenty of space for all your devices like blu-ray players and video game consoles. The WT60 has a media player used through the USB ports that will play all your video, music, and photo content. Three ports here will be plenty for hard drives and flash drives. The DT60 series adopts the design and appearance of the ZT60 and VT60 top tier plasma models. This is an interesting move on Panasonic's part, but we like it. It has the glass and metal design with a two armed stand that gives the screen a nice floating appearance. The bezel is very slim which completes the excellent look of the set.